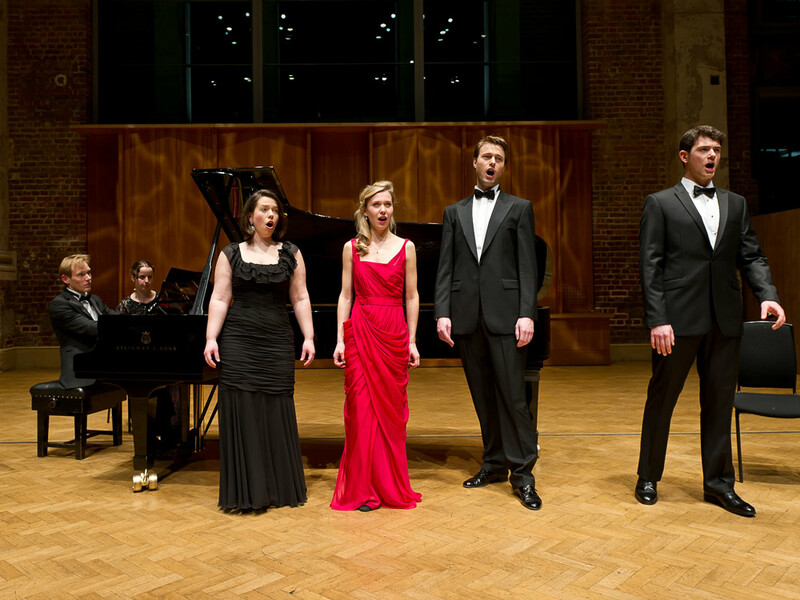 Classical Voice Training hosted at the Guildhall School of Music and Drama returns with their ground-breaking comprehensive course on the training of classical voice. Under the leadership of Prof. Janice Chapman, a multidisciplinary team of prominent voice specialists will present this five-day course, alongside experts from the industry including the Royal Opera House. The art of singing has been taught for generations without the benefit of evidence-based science to underpin it. Due to recent developments in fibre-optic and endoscopy technology, it has become possible to view the voice and build a science-based understanding of how it works. This knowledge does not replace the empiric writings of the old masters but rather enhances our understanding of past teaching methods. Janice and her team will deliver a five-day intensive course for performers which includes instruction and work on Breathing and Support (including Accent Method Breathing), Postural Alignment, Vocal Anatomy and Physiology, Manual Therapy, Phonation, Resonance, Articulation, Mind-skills for Performers and Artistry and Performance. Who is the Pedagogy Strand for? Taken by our experienced senior staff members, these will cover all aspects of physical and vocal technique. Physical daily warm-ups will be led by Mandy Demetriou and will develop incrementally throughout the week focusing on postural alignment, physical strength, stamina, and flexibility. Movement and body work's practical use in the studio will be discussed. Vocal warm-ups will be taken by different singers and pedagogues from our team and will practically introduce the key concepts that will be taught in the main lectures. We will also address how physical and vocal warm-ups can be best applied to individual students. An opportunity to discuss the masterclass sessions and teaching techniques used in more detail and how this might apply to your students. This year, there will be a unique opportunity to sign up for one-to-one sessions with certain members of our team to work specifically on your own technical and performance skills. There may be an opportunity for some supervised teaching with senior members of our vocal faculty and students from the course. This will be dependent on staff availability & participant numbers. There will be an additional fee for the above one-to-one sessions, and they will be offered on a sign-up sheet, on a first-come-first-served basis during the course. 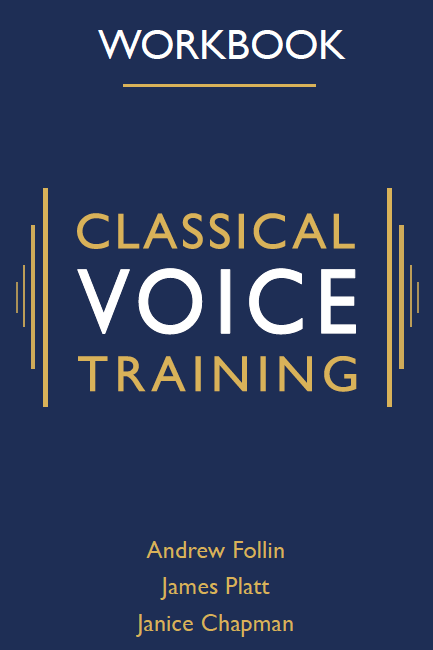 See our Courses page for the specific staffing of our individual courses and our Meet The Team page to read more about Classical Voice Training's World Class Team. ‘The Workbook’ is a distillation and practical guide to the application of Prof. Janice Chapman’s seminal work Singing and Teaching Singing: A Performer’s Guide to Classical Voice. Written by Prof. Janice Chapman, Andrew Follin and James Platt, it is a unique resource available only to participants on Classical Voice Training courses and it is provided as part of your course fee. This exclusive resource can be used as a notebook and reference guide throughout the course. The inclusion of detailed anatomical diagrams, full explanations of the Core Components and Outer Satellites of Janice’s teaching model, as well as detailed examples of Janice’s vocal exercises, ensure that it is suitable for future reference and as an aide-mémoire to all participants. Each edition of The Workbook is specific to the individual course that participants enrol on and is revised for each course with the most up-to-date scientific information and research available at the time. There will also be other handouts for presentations and workshops available too. To reserve your place and avoid disappointment book via our courses page more information.